Lawless Painting is a local painting company that proudly serves all of Philadephia, Pennsylvania. We offer interior house painting, exterior house painting, commercial painting and so much more. 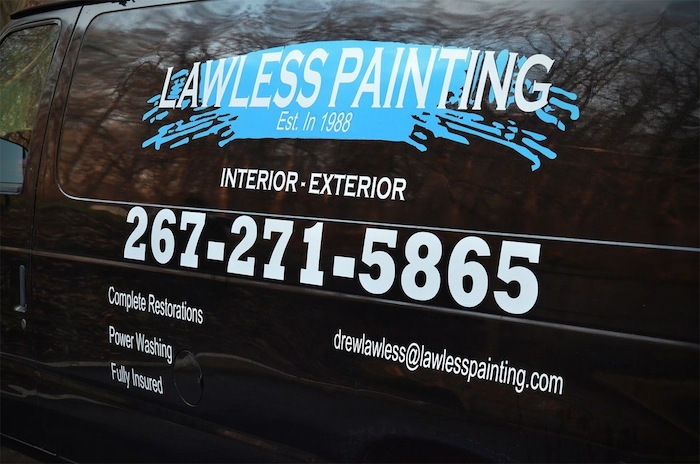 For nearly three decades Lawless Painting has been Philadelphia’s go-to painting company. Whether you have a house, condo or commercial property, we are the right choice for you. With our experience, professionalism, dedication to detail and our 100% satisfaction guarantee, the choice is easy to make when deciding to go with Lawless Painting in Philadelphia.